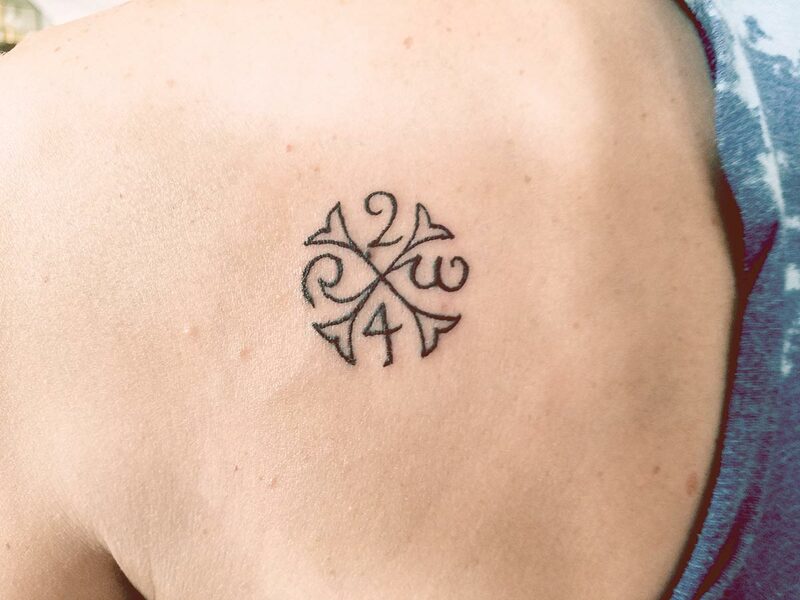 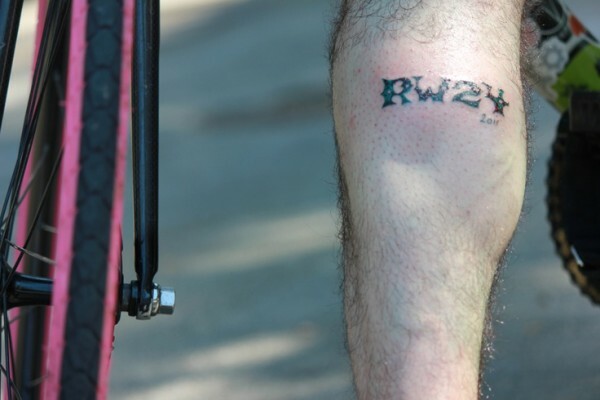 Every year since the very first Riverwest 24 in 2008, the team has introduced a new tattoo design that bestows 5 bonus laps onto ride participants. 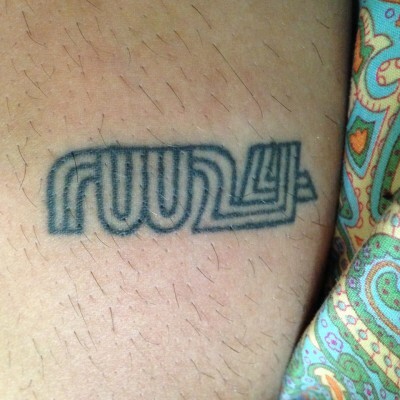 The designs have ranged from cool to tacky and upon first glance they’re almost always questionable. 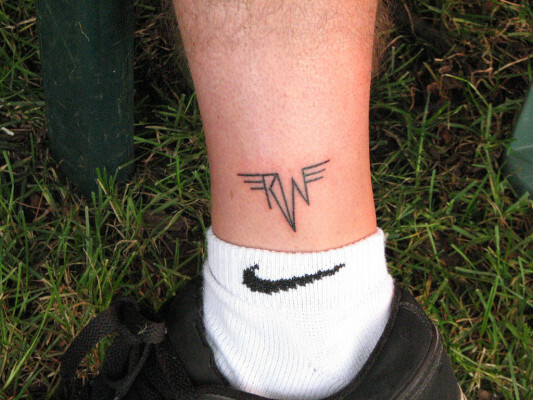 The quality of line varies tremendously, but that’s arguably either the aesthetic or not really the point. 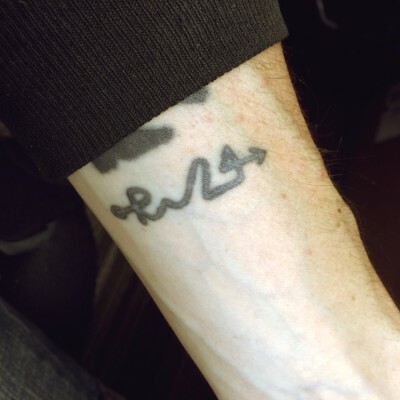 In my eight-year history with the race I’ve been too picky about the designs and have so far only gotten one tattoo, but it’s clear that, taken as a whole, you can’t really wait until “next year” for “the good design;” they’re all going to be bad. 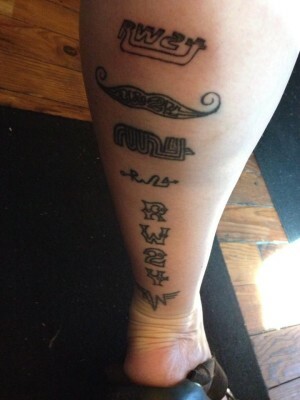 Regardless, no matter which one(s) you get, you won’t regret any one of them. 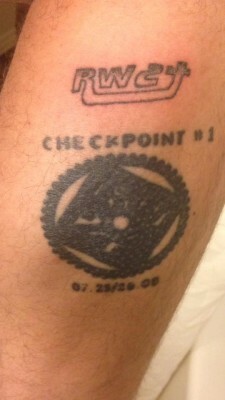 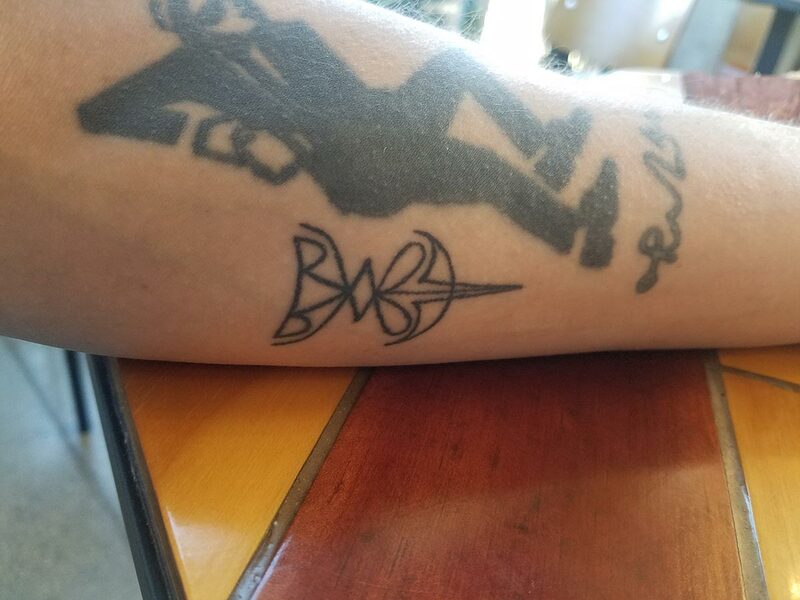 Technically there was no tattoo bonus lap in the first year, and the logo tattoo was only inscribed upon a few of the initial volunteers of the time. 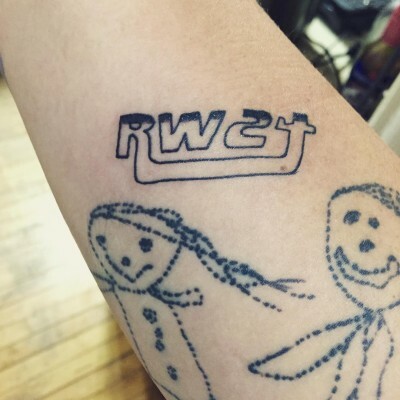 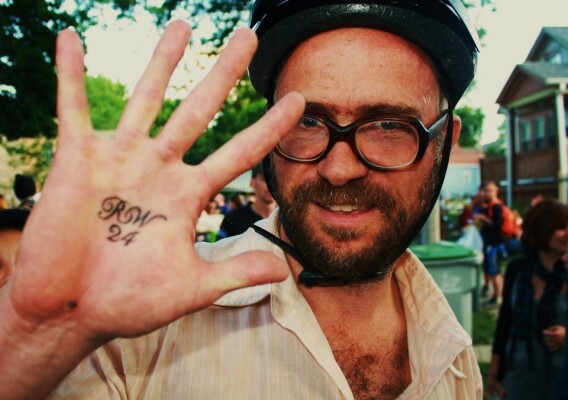 Xav shows off his RiverWest 24 tattoo – Photo: N. Delgado.